The Lone Star State! Your family may live in Houston, Dallas, Austin or any of the other charming communities in Texas; and you know it's definitely a place your family can call home! 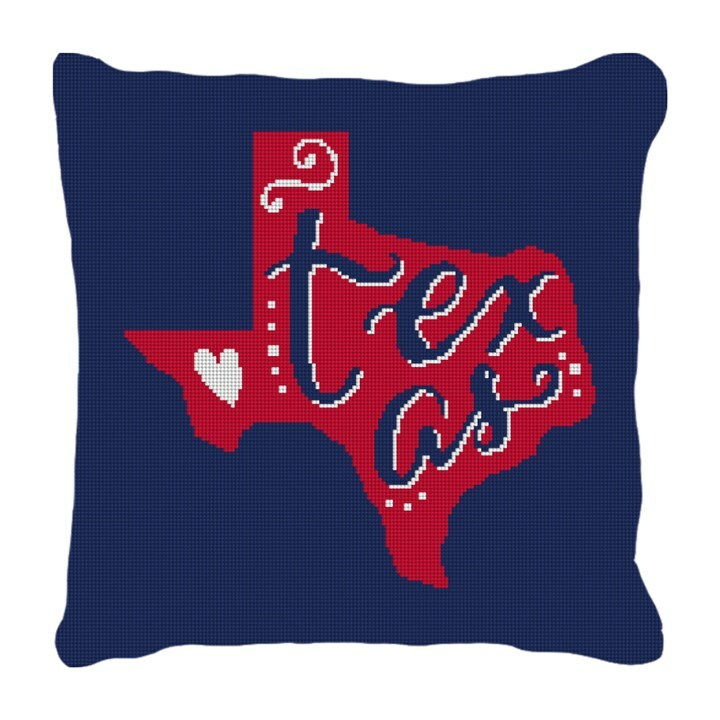 Stitch this needlepoint pillow canvas, and create a charming pillow for your home decor.